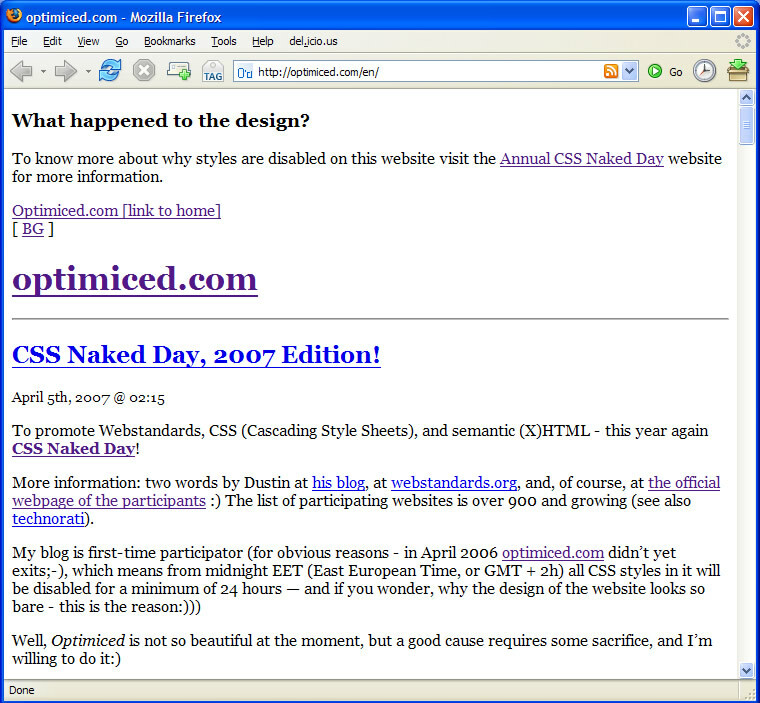 CSS Naked Day, 2007 Edition! To promote Webstandards, CSS (Cascading Style Sheets), and semantic (X)HTML – this year again CSS Naked Day! More information: two words by Dustin at his blog, at webstandards.org, and, of course, at the official webpage of the participants :) The list of participating websites is over 900 and growing (see also technorati).